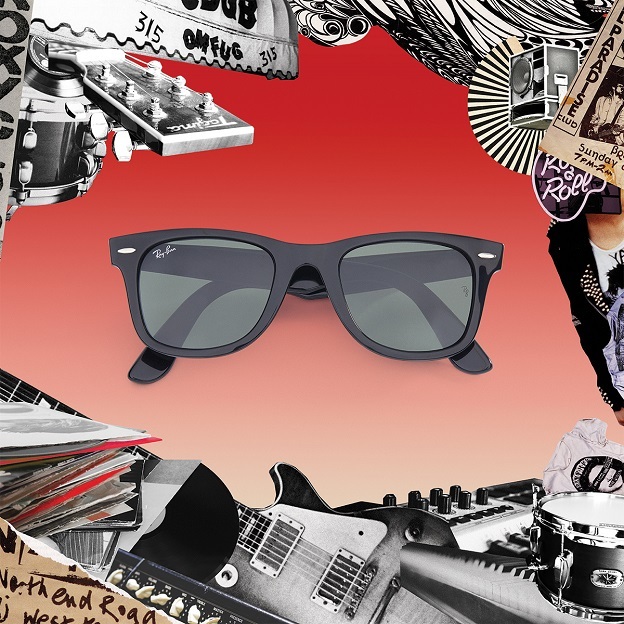 Ray-Ban Original Wayfarer Classics are the eyewear of personal preference for many of music’s most enduring stars: since its initial design in 1952, Wayfarer Classics gained popularity among celebrities, musicians, artists and those with impeccable fashion sense. As an iconic style of sunglasses, the Original Wayfarer Classics always make a statement. Choose a classic pair of black or Havana -framed Wayfarer sunglasses from a variety of lens treatments including crystal green, crystal grey gradient, G-15 polarized and many more. 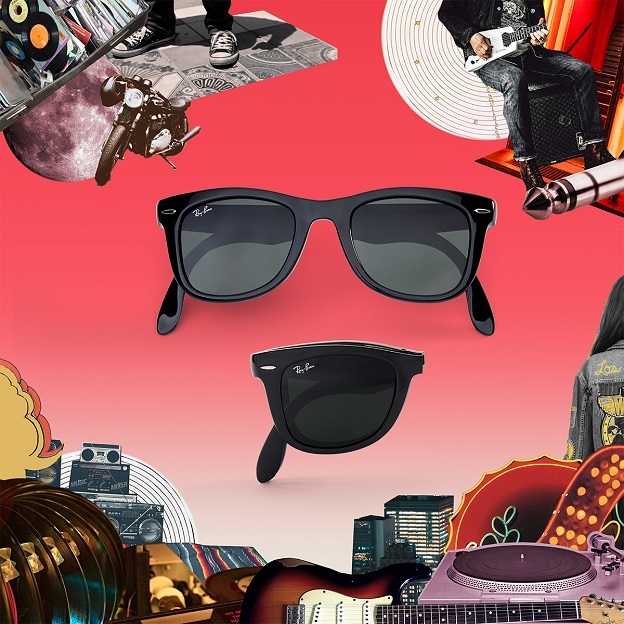 Ray-Ban Wayfarer Folding Classic RB4105 sunglasses provide a practical, portable yet stylish look. Modelled from the Original Wayfarer Classic, the iconic Wayfarer has been constructed into a compact, folding style letting you be practicably fabulous. Wayfarer Folding Classic can easily be folded and tucked away for ultimate portability, whilst remaining durable. With Wayfarer Folding Classic you don’t have to sacrifice fashion for convenience. Simply wear, fold, unfold and wear again.